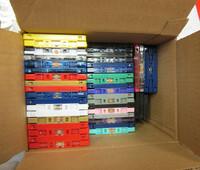 Audio Cassettes Clearance Random Blank Loaded Cassettes! 25 Packs! Some extra cassettes we had lying around! Made into 25 packs, random colors and lengths. Lengths can vary from 1 minute up to 100 minutes. 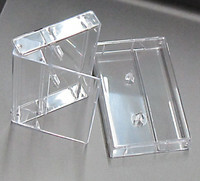 Tape types in these packs: Normal bias (ferric, type 1, most will be tabs out. Tapes are leftovers from previous jobs (erased) or when we accidentally load the wrong length. 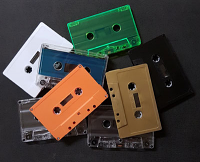 These tapes are great, love the variety, definitely helps me decide on what colours i want to use for future projects. Great deal, perfect for my project!